Between June 28 and July 1, the Jesuit Historical Institute in Africa and the Institute for Advanced Jesuit Studies at Boston College co-host the International Symposium on Jesuit Studies in Nairobi, Kenya. 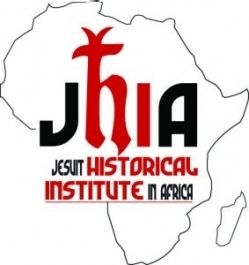 The topic of the symposium, “Encounters Between Jesuits and Protestants in Africa,” uses the 500th anniversary of the Protestant Reformation as “an ideal opportunity to reflect in a deeper and new way on the history of the relationship between the Protestants and the Jesuits who were founded twenty-three years later.” Selected presented papers and delivered remarks will be published in the Jesuit Studies book series by Brill. To learn more about the 2016 symposium, please visit the Institute’s website.